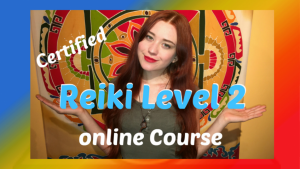 More about Reiki: does Reiki really work? People have been reporting positive effects of Reiki since it was used by Usui. Reiki is now accepted by more and more medical professionals, hospitals, clinics and hospices as a helpful treatment option. If Reiki did not work it would have never lasted this long in society. How can you describe Reiki energy? The energy can be very subtle, often leading to an accumulated effect after the session, which can lead to wobbly legs, to emotional shifts like laughter or crying, depending on the blockages released, and the individual. 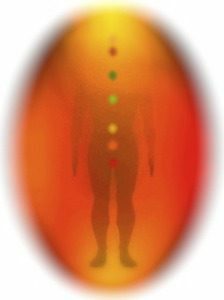 Reiki seems to enter the crown chakra, and moves through the body. Reiki is given by a practitioner who acts as a channel for the energy. The receiver is not greeting the practitioners energy, but the universal Reiki energy flows through the giver to the receiver. It energizes both participants. Reiki is not a religion at all. In a standard treatment the client might be standing, or sitting, or laying on a massage table. The client remains fully clothed. The practitioner gives the treatment with the hands on or near the clients body in different positions. Can a Reiki treatment feel bad? Since Reiki is a positive energy, it never harms anyone in any manner. Some people might end up crying during or after a treatment, or might feel a bit ill, dizzy, or disoriented afterwards. I think it depends on how sensitive they are to the energy, and how deeply the blockages are rooted. Tension, anxiety, fear, or other negative feelings get released, and after that many people feel a wonderful peace too. On the other hand, you might feel very relaxed, happy, and full of laughter. Some might feel a wonderful glowing radiance. No matter what, Reiki will balance you, and bring a change, and make you feel better. Are there any serious side effects from a Reiki treatment? No, there are no serious side effects. Some people might not feelings so well for a short moment, because of whatever gets released in the body, perhaps toxins, or emotional stress. But normally you will feel very relaxed, and balanced. One hour of Reiki can have the same effect as 4 hours of deep sleep. If there are any side effects then it is all part of the self-healing process, and can last a few days, but mostly it only takes one or two hours to dissipate. Can common things like colds be treated? Reiki does not promise healing, but it can help for pain relief, and can help for common things like colds, head or stomach aches, bee stings, flu, tension and anxiety. Sickness often comes from stress. Reiki creates a deep relaxation, and because of this, it helps to activate the self healing in oneself. Does Reiki replace a doctor or regular treatment? No. Stop! Always see your regular doctor! But it can help to assist regular medical or psychological treatment. Reiki treatments can be good after a surgery, or psychological care to assist in the healing process. Anyone can learn Reiki, even children. Reiki is so simple to learn! An attunement is like an initiation. 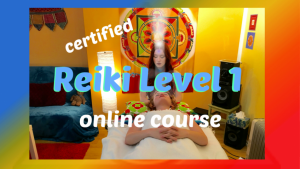 The master connects to the Reiki source, and uses Reiki Symbols to connect you to the source of Reiki. It means you are now able to channel Reiki to yourself and others when desired. Durning the attunements your Chakras open, and can release blockages. 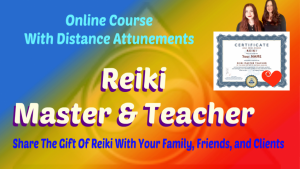 A Reiki attunement can feel like a Reiki session, but more intense. Maybe you will feel emotional during or after the attunement. You may see colours, memories can arise, or maybe you simply feel at peace. About one or two days for each level. Your family, friends, pregnant women, animals, children, babies, plants, food and water, and of course yourself. More About Reiki: Can I do distance healing? 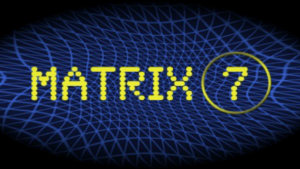 There are the first and second level, and the Master and Teacher level. To keep the Reiki energy pure, it is important that your Reiki Master-Teacher has a lineage. This lineage can be traced to the source of Reiki, to Mikao Usui. Yes! Reiki energy is a divine energy, and will always do good. Once your are initiated into Reiki, the Reiki healing ability will be all yours for the rest of your life. No complicated training is needed. The Reiki energy will flow of its own accord. No conscious focussing is necessary. A Reiki practitioner is not in danger of learning and using other modalities of healing before or after the course. Reiki does help and guide you to develop your spiritual growth. More about Reiki: it doesn’t replace a doctor, non-medical practitioner and/or comparable orientated education!